I read Vita Sackville-West’s All Passion Spent in a completely heavenly way. I was recovering from a Friday night hangover and the husband had vanished off to lug a load of sandbags around in an architectural manner. I made a pot of coffee, a huge bowl of muesli (my Achilles’ heel, see my last post) dotted with leftover strawberries from the night before, and climbed back into bed where I lay reading All Passion Spent from start to finish, as the sun streamed through the windows and my headache gently evaporated. I can think of no better way of spending a Saturday morning. I came to All Passion Spent with a feeling of relief, of at last, finally, phew. I have wanted to read something by Vita Sackville-West for such a long time. 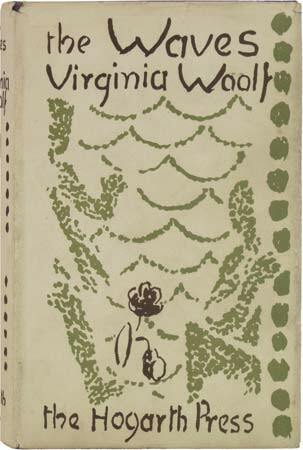 First at university, when studying Woolf, there she was, endlessly popping up her elegant head and begging for a little more attention than there was time for. Then for my literary hen party (more details here) we had a beautiful afternoon strolling around her home, Sissinghurst. 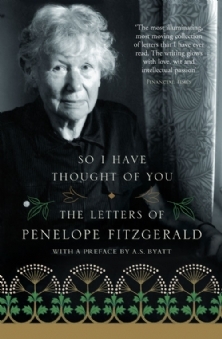 I since learnt that we were taken for a troop of literary lesbians, come to pay our respects to this ultimate literary lesbian. Apparently they get quite a few such groups, and rather fewer hen parties. To plant bulbs in the middle of a war was to assert one’s firm belief in the future. She made a point of planting a slow-growing magnolia in spring 1939, wanting to believe that there would be someone there to see it in a hundred years time. I think it’s a wonderful – and a very feminine – way of asserting one’s defiance. 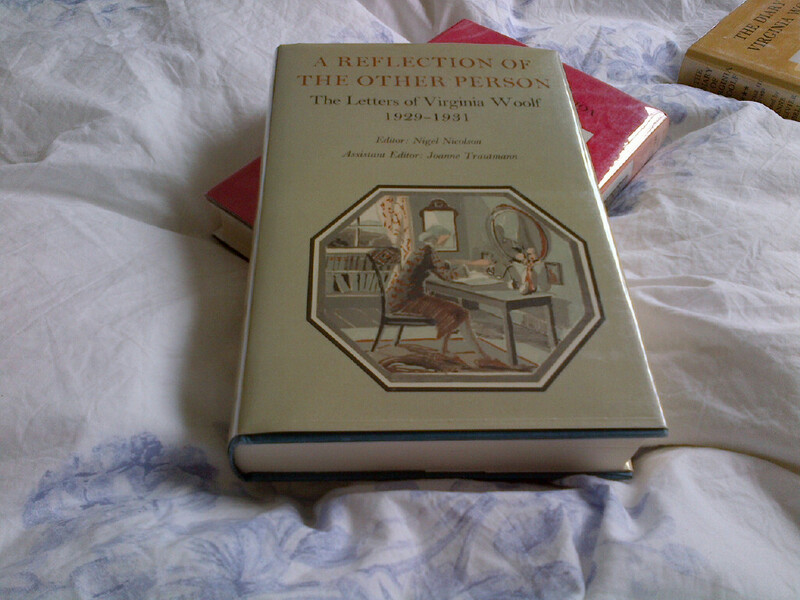 So it was with joy that I climbed back into bed with my copy of All Passion Spent and a feast of a breakfast. Every page, sentence and word were a delight to read. The book opens with the death of Lord Slane, a great statesman, leaving his children, who are mostly in their sixties and perfectly ghastly, deciding what to do with their newly-widowed mother, Lady Slane. They devise a frightful scheme whereby she will be parcelled off between them, paying each of them for her keep for a few months of the year. Lady Slane, ‘the very incarnation of placidity’, quietly defies them and plants a slow-growing magnolia. Not really. She quietly defies them and says she’s going to move into a little house up in Hampstead. Back then, in 1931, Hampstead was rather less chi-chi and rather more bohemian than it is today, and to these residents of Chelsea’s Elm Park Gardens, it might as well have been Peckham. We get a lovely scene of Lady Slane shuffling off on the underground (she is eighty-eight after all) up to Hampstead, her mind running off along little paths as the stops go by. Lady Slane saw the house thirty years ago, but by some miracle, it is still there, waiting – as it were – for her to rent it. The eccentric Mr Bucktrout, owner and agent, is happy for her to rent it, so long as he can come round for tea once a week. So Lady Slane settles down up in Hampstead, and the rest of the book is given over to this quiet ending of her days, with the company of Mr Bucktrout, her loyal French maid, a jack-of-all-trades, and Mr Fitz-George – a long-lost acquaintance who first met her when she was the very beautiful Vicereine of India. “I don’t think I can stand, even the Nicolsons, on happiness for three quarters of an hour” I said at 8.15. “By God, I call that first rate!” having listened to every word. This is (for a wonder) literally true. How on earth have you mastered the art of being subtle, profound, humorous, arch, coy, satirical, affectionate, intimate, profane, colloquial, solemn, sensible, poetical and a dear old shaggy sheep dog – on the wireless? We thought it a triumph: Harold’s too. Evidently, Vita and her husband Harold Nicolson were on the BBC radio discussing happiness. I suspect that some of the ideas they talked about then, might have seeped into her musings on happiness in All Passion Spent. And Woolf’s litany of affectionate praise for Vita Sackville-West’s art on the wireless is, I think, apt for her writing as well. She remembered how, crossing the Persian desert with Henry, their cart had been escorted by flocks of butterflies, white and yellow, which danced on either side and overhead and all around them, now flying ahead in a concerted movement, now returning to accompany them, amused as it were to restrain their swift frivolity to a flitting around this lumbering conveyance, but still unable to suit their pace to such sobriety, so, to relieve their impatience, soaring up into the air, or dipping between the very axles, coming out on the other side before the horses had had time to put down another hoof; making, all the while, little smuts of shadow on the sand, like little black anchors dropped, tethering them by invisible cables to earth, but dragged about with the same capricious swiftness, obliged to follow; and she remembered thinking, lulled by the monotonous progression that trailed after the sun from dawn to dusk, like a plough that should pursue the sun in one straight slow furrow round and round the world – she remembered thinking that this was something like her own life, following Henry Holland like the sun, but every now and then moving into a cloud of butterflies which were her own irreverent, irrelevant thoughts, darting and dancing, but altering the pace of the progression not by one tittle; never brushing the carriage with their wings; flickering always, and evading; sometimes rushing on ahead, but returning again to tease and to show off, darting between the axles; having an independent and a lovely life; a flock of ragamuffins skimming above the surface of the desert and around the trundling wagon; but Henry, who was travelling on a tour of investigation, could only say ‘Terrible, the ophthalmia among these people – I must really do something about it,’ and, knowing that he was right and would speak to the missionaries, she had withdrawn her attention from the butterflies and transferred it to her duty, determining that when they reached Yezd or Shiraz, or wherever it might be, she also would take the missionaries’ wives to task about the ophthalmia in the villages and would make arrangements for a further supply of boracic to be sent out from England. But, perversely, the flittering of the butterflies had always remained more important. 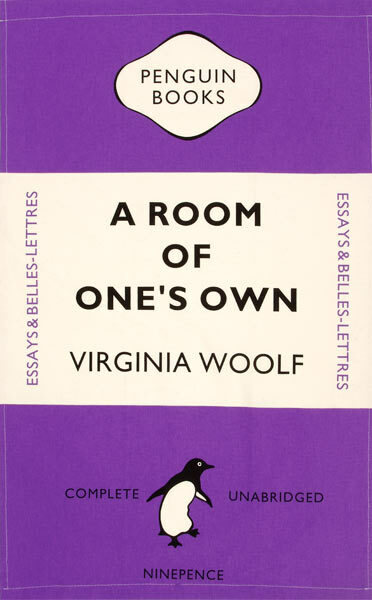 All Passion Spent is in many ways a fictional counterpart to Woolf’s polemic A Room of One’s Own, in which Woolf argues, among other things, that a woman cannot write fiction without money and a room of her own. She also writes about how the literary tradition is male rather than female and complains that the very sentence which was used so effectively by men was ‘unsuited for a woman’s use’. She argues that a woman’s experience is different from man’s, that what women want to write is different from what men want to write and so they need to find new tools of expression, ‘knocking that into shape for herself’. Woolf wrote of the moment as ‘an incessant shower of innumerable atoms’, but I rather prefer Vita Sackville-West’s expression of it as ‘the flittering of the butterflies’, darting beautifully and playfully around the male cart which presses ever directly onwards. It is necessary to write if the days are not to slip emptily by. How else, indeed, to clasp the net over the butterfly of the moment? For the moment passes, it is forgotten; the mood is gone; life itself is gone. That is where the writer scores over his fellows: he catches the changes of his mind on the hop. Fine inspiration for any writer. I like nothing better than a coincidence, especially when one of the coinciding things is in the book I’m reading. 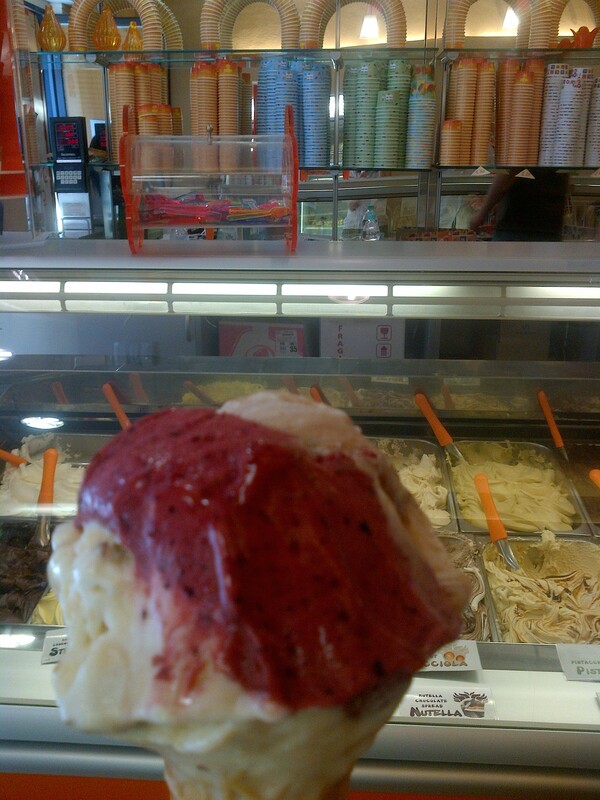 Last week I wrote about a first-class coincidence which ended up in a trip to Venice. It’s hard to top that one. You might find this week’s coincidence a little more humble, although, for me, just as satisfying. It was Saturday night. That morning, we had accidentally bought an enormous fish. (Long story. Here is probably not the place for it.) Some friends were coming round to eat it with us, but they weren’t here yet. The husband was cooking the big fish. I had been hovering over him saying annoying things like, oh I wouldn’t cut the lemons like that. Maybe you should put some almonds in too. No don’t bother about doing that with the leeks. It wasn’t long before I was told to shut up and banished from the kitchen. 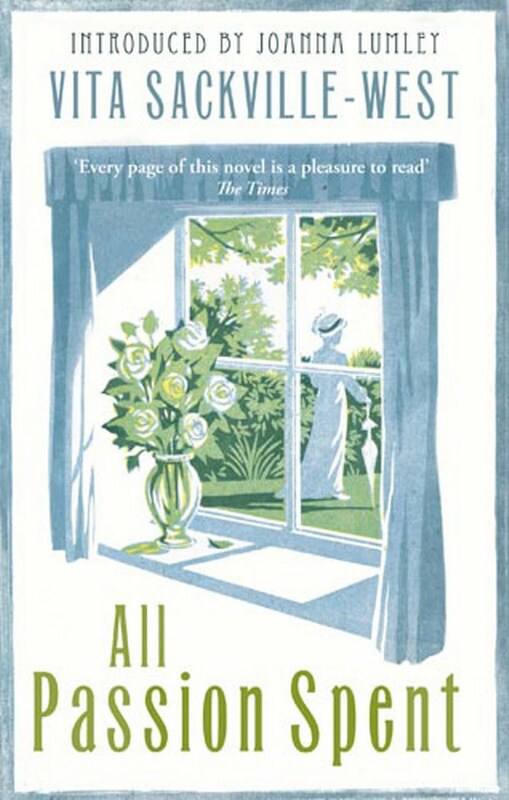 So I concentrated on finishing my book – Ali Smith’s marvellous The Accidental. I love Ali Smith. This sounds like the sort of fluff that people churn out to go on the back covers of books but I really do find her writing dizzying and exciting. There’s so much energy to it, so much pizzazz. I was struck by how similar The Accidental is to her most recent book There but for the (which I wrote about here). 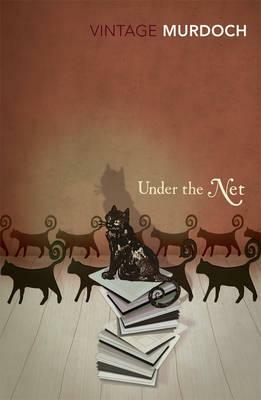 Both books involve a stranger turning up in a very middle-class set-up and acting as a catalyst for some big changes. 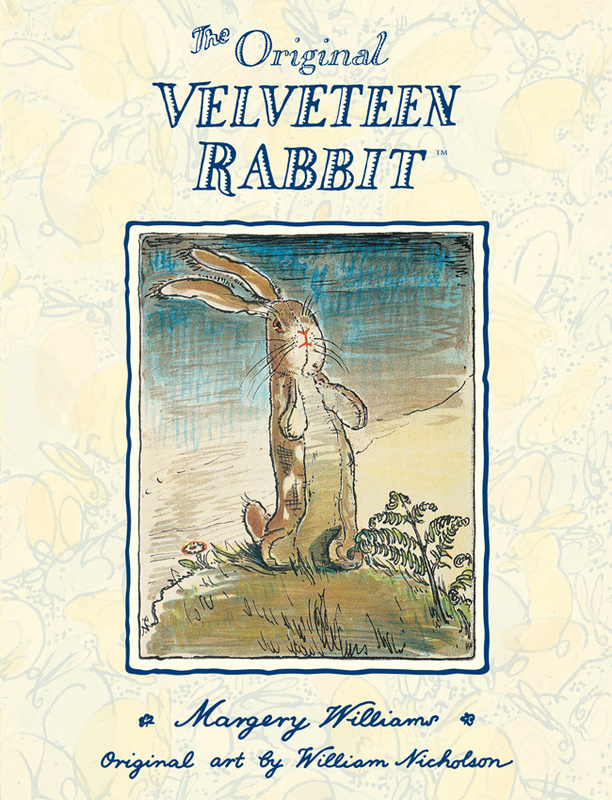 Both books also feature, among others, the brilliantly imagined voice of a young girl. In The Accidental we have twelve-year-old Astrid Smart, whose geeky delight in things like the way her hand leaves a mark on her face after she’s slept on it, or how her name is only two vowels away from asteroid is completely enchanting. ‘What?’ He used the kind of voice that a grown-up might use to a tiresome child. It said it was filmed in Islington, Astrid said. Did you see? Did you see? It said at the end, when it said The End, that it was filmed here. By the canal, Michael said. There was a film studio there. No, there was, Michael said. Really. They did costume dramas, things like that. That’s definitely where they made that film. ‘Well there you go,’ said the husband. I realise that at times of excitement I sound quite similar to Astrid, the twelve-year-old girl. Poor husband. But I’m not just excited about the fact that Hitchcock’s brilliant film The Lady Vanishes was shot at the Gainsborough Studios, the site of which happens to be about a five-minute walk from my flat. I’m excited because right now, that is exactly what I’m writing about in my novel. I’ve already told you about my novel, but in case you’ve forgotten, it is about a derelict house. Two very different young women make friends and then explore this derelict house, which is right next to The Rosemary Branch pub (where one of them works), which happens to be very close to where the Gainsborough Studios used to be. The interesting thing about the book (let’s hope) is that the house then tells stories of who used to live there through various traces, such as the layers of wallpaper, the coal hole, and – as you might remember from a couple of weeks ago – a forgotten piece of a 1930s toy. 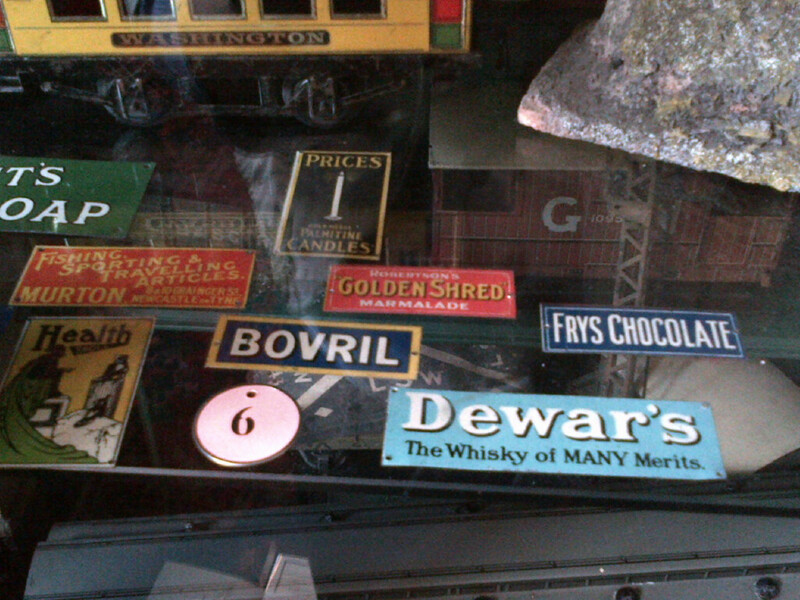 I decided on one of these old train set mini advertisements – just the right size to slip between the floorboards and lie forgotten for the best part of a century, waiting to be discovered by someone looking for something else that had rolled off into a corner. 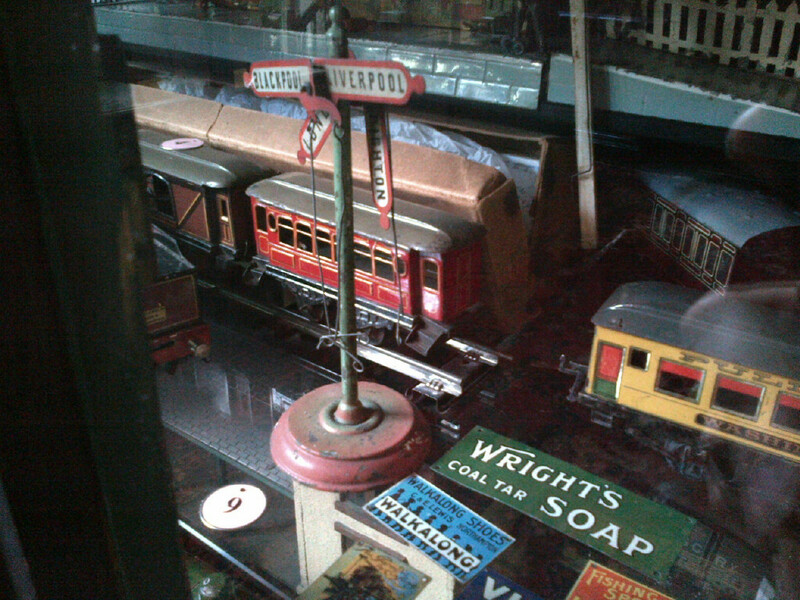 So the boy who used to have this train set – this very elaborate train set, with all these extra bits – who lived in the house in the 1930s … well, funnily enough, he loved trains. And, for those of you who haven’t seen it, The Lady Vanishes is set almost entirely on a train. It was filmed in 1938 in the Gainsborough Studios, round the corner from the house where this boy lived. According to the (real-life) lady who works in the pub (who’s lived round here forever, who I interviewed as another fun bit of research for the book), people who lived round here used to hang around the studios to try and get work as extras. Now, if you were a ten-year-old boy who was obsessed with trains, who knew that a film all about a train was being made round the corner and that if he were to play truant and skip school for a day, he might be picked to actually be in the film – recorded forever on celluloid, on show to thousands of people in the cinema, him, there, next to a train… well you’d do it, wouldn’t you? So you can see him in the film. Near the end, Michael Redgrave says to Margaret Lockwood. ‘Well, this is where we say goodbye.’ There he is, under the sign for platform 7, in his shorts and pulled-up socks, looking curiously at the camera and at this pair of famous actors, just before they hop into a cab. That’s him – the boy in my book. It’s hard to describe the feeling. Shock, surprise, amazement. A sharp intake of breath. A feeling of wonder. Confusion. It really was completely extraordinary. And, of course, I began to doubt the very nature of coincidence; I couldn’t help but wonder whether this wasn’t merely accidental, but something bigger and more profound. Thinking about it a little more logically and unexcitably, I shouldn’t be surprised at coming across some connection in The Accidental because it is a book rich in references. 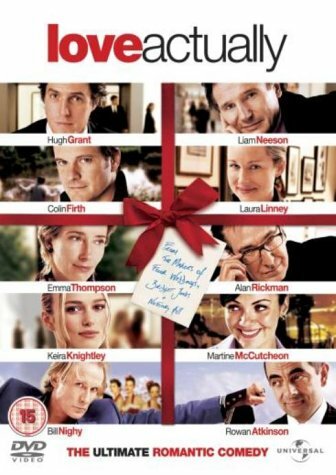 There’s a long, very funny description of Love Actually, for instance, passing comments on masses of authors – from Roth to Larkin to Austen to Shakespeare, plenty of songs from the seventies, and much much more. 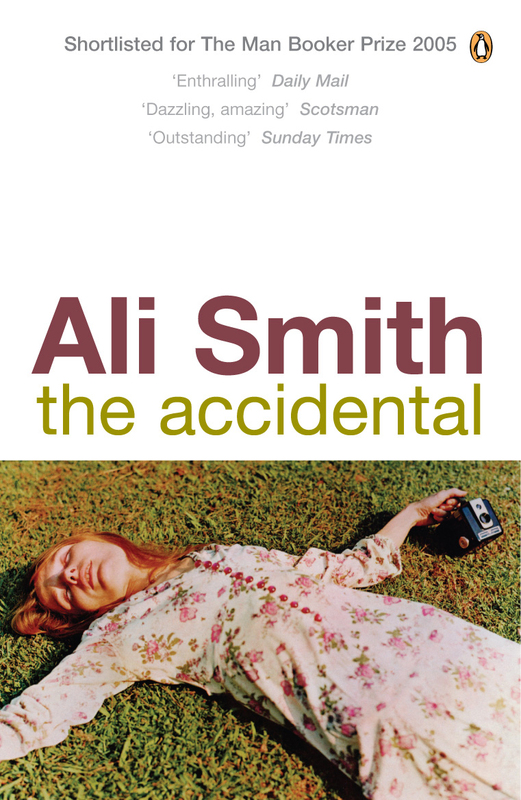 Ali Smith characterises the various members of the Smart family in part by giving them their own cultural references, things that they cling on to as their individual ways of understanding the world, their points of identity. Really it would be odd if I hadn’t found something amongst all of them that was occupying some other part of my brain. As for The Accidental, aside from its accidental chime with my book … I found it a wonderful, inspiring read. Perhaps it’s not for everyone. Some people, inevitably, will find the stream-of-consciousness style of writing irritating. Some will find the scenario of a stranger just inserting herself into a family’s holiday home too unlikely. But if you can put these quibbles aside, if you can appreciate the experimentalism and see that Ali Smith is thinking about ideas like representation and the importance of the different points of view (I suppose a bit like Hitchcock), then really it is an astonishing feat. I love the way that the same moment is replayed in each of the characters’ minds utterly differently, each obsessing over a different aspect and missing the rest. It shows quite how hideously dysfunctional the family is, how much it is hiding behind convention and appearance. Smith also captures how terrifying teenagerhood and that awkward moment just before teenagerhood can be, and the cruelty of other children. And she shows how much everyone wants to believe in something, how much people want to be rescued, how much people will invest and imagine in a stranger. Like There but for the, The Accidental reminded me a little of Virginia Woolf’s The Waves, in which all the characters have their own voices and revolve around the empty centre of Percival, who never speaks. Here it’s the same set-up but the empty centre – the character whose head we scarcely enter is Amber, or Alhambra. I suppose The Accidental shows just how much we are capable of projecting onto emptiness. 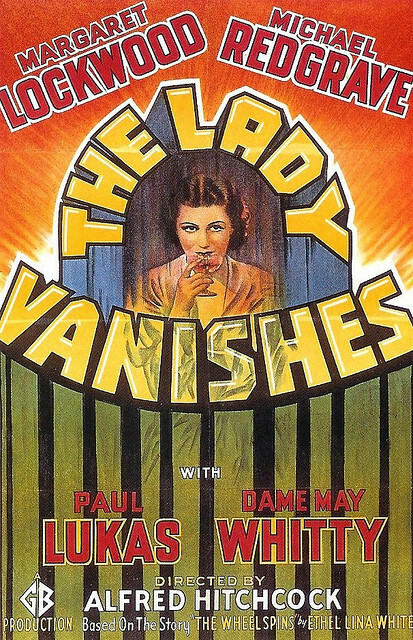 So I really shouldn’t project too much meaning and significance onto this empty accidental coincidence of The Lady Vanishes. And yet, it’s so hard to resist feeling like it’s a sign from the universe that I am on the right track. 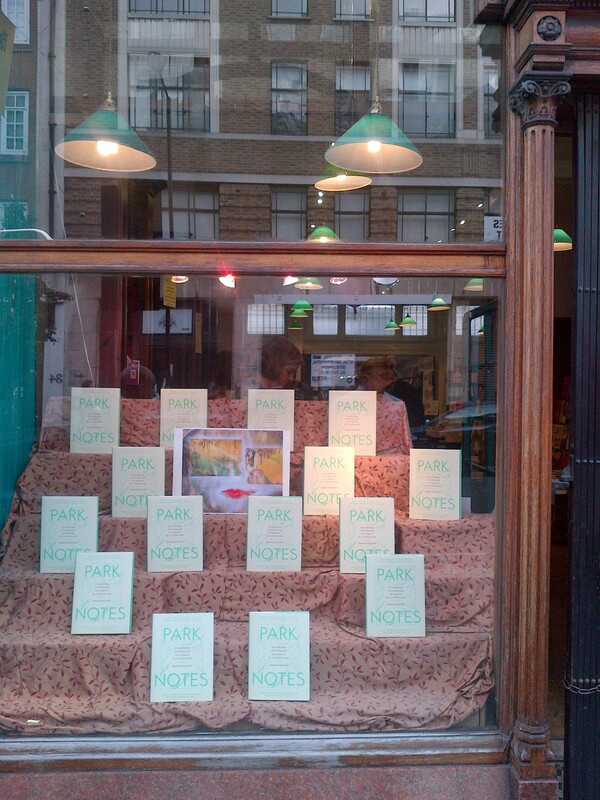 This week was a very exciting one – my first ‘By the Book’ column was in the Spectator. Those of you who have been reading EmilyBooks for a little while might have seen some of my pieces for the Spectator’s Book blog, but this was the first time I was in the actual mag, in the physical printed thing. For the inaugural ‘By the Book’, I thought that David Cameron and George Osborne – who were accused of being too posh to know the price of a pint of milk – should take a leaf out of Brideshead Revisited and be a little more like Sebastian Flyte. You can read it here. The best bit is my little bookish picture! According to his label, he has a military bearing and a squeaker in his body. There was even a little teddy bears’ picnic assembled in another cabinet. (I suspect that David Cameron’s bear wouldn’t be allowed any milk with his tea.) 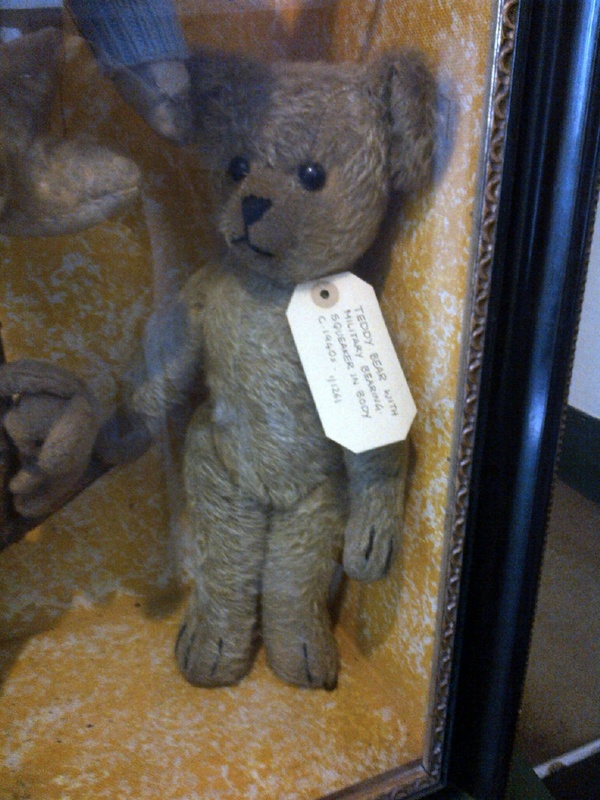 But my trip to Pollock’s Toy Museum wasn’t just to hunt out possible parliamentary teddies, it was to seek inspiration for my novel. Some of you might remember that I’m writing a novel about a derelict house. Yes, I’m still writing it. But it is going well – I’m edging towards 60,000 words of the first draft, which means I’m substantially nearer the end than the beginning. The novel is about a young woman called Anna, who moves into a canal boat with a strange older man called Roger (first Jolly Roger, then Dodgy Roger), makes friends with a barmaid called Eliza and then the two girls explore a nearby derelict house. So far so Swallows and Amazons I hear you think… but here’s the twist. We learn about who’s lived in the house over the past hundred and fifty years, through remaining traces such as layers of wallpaper, the coal hole, a mysterious piece of wood with Hebrew writing on it, even the very bricks in the walls. And all these historical chapters are based on fact. Tough choice. Perhaps the train paraphernalia is a little more original, but then it would be so easy for a wheel to come off a car, and spin off into the corner, where it could lie covered in dust for a very long time indeed. Although, I suppose those little advertisements or place names are very slim pieces of tin. Slim enough to slip between the cracks in the floorboards, for instance. Hummm… I shall have to get my imagination whirring into action. 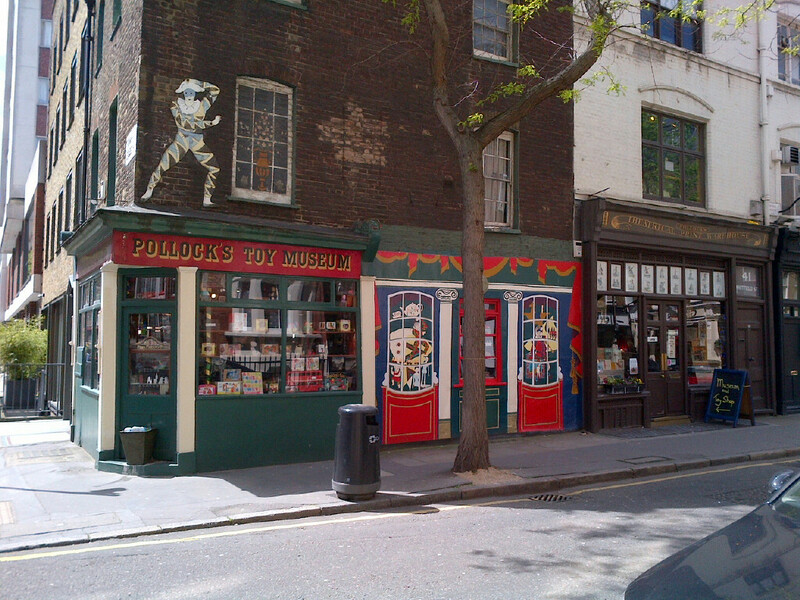 Pollock’s Toy Museum is utterly enchanting. I cannot recommend it highly enough. Every inch is packed with so many things. The Victorian science experiments sets were far more exciting than the ones we get today – they included little jars of mercury and the like. There are early building blocks from brands like Meccano, old Penny Dreadfuls, beautiful dolls houses filled with mini-everything, and – best of all – E.M. Forster’s toy soldiers, donated to the museum by King’s College Cambridge. Quite why Forster had his childhood toys with him up at Cambridge is psychologically intriguing to say the least. My very favourite toys, when I was little, were my cuddly animals. I had a selection, ranging from Charlie the caterpillar (who had different coloured socks on each foot), to Jeremy Fisher and, most favourite, were Chip and Dale the chipmunks, with their respective black and red noses. When I was about five years old, I had a rather traumatic revelation about my cuddly toys. We went on a holiday to Disneyworld, where my parents bought me an Eeyore soft toy. I really loved that Eeyore. I was going through an acute Winnie the Pooh phase, and felt particularly affectionate towards the poor melancholy donkey. He was instantly drafted into the upper echelons of my soft toy society, and Chip and Dale were made to move up to make room for him at bedtime. So far so good. Until we left Disneyworld and went on to some other bit of Florida. Once we got to the new hotel, we made a terrible discovery. Eeyore had been forgotten. I’d like to say that I handled it with sophisticated and mature aplomb, but, of course, I was a nightmare. The previous hotel was telephoned. Had housekeeping found it in the room? Could they perhaps find out and then post it to us? But all this to no avail. Eeyore had completely disappeared. ‘Oh well, we’ll just buy another one,’ said Mum. I didn’t understand. There wasn’t another one. Eeyore had gone away. That was Eeyore, there couldn’t possibly be another Eeyore. It was a horrid moment. Because if there were millions of Eeyores, all exactly the same, then there were also millions of Chips, Dales and Charlies too. These were my friends – and suddenly they were made to seem just mass-produced things, not real at all. That’s why it doesn’t often happen to people who break easily, or have sharp edges, or who have to be carefully kept … Generally, by the time you are Real, most of your hair has been loved off, and your eyes drop out and you get loose in the joints and very shabby. But these things don’t matter at all, because once you are Real you can’t be ugly, except to people who don’t understand… once you are Real you can’t become unreal again. It lasts for always. Bit schmaltzy, but I think it can just about be forgiven in a children’s book. The point is that toys are only toys to adults – to children, more often than not, they’re real. 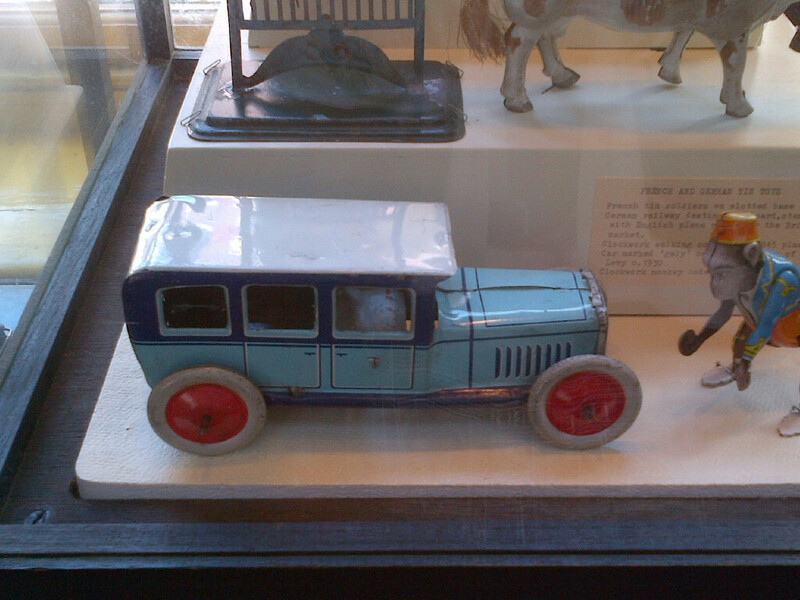 And wandering round Pollock’s Toy Museum, bearing this in mind, is completely astonishing. It is filled with all these things that so many children have loved so much. One can peer around inside other people’s imaginations, glimpsing all those funny scenarios and whole worlds that have sprung up around these little props. I suppose really that’s what writing the novel is all about – recreating some of these lost worlds from a few little clues. At least for one of these 1930s toys, one little lost world might be resuscitated.